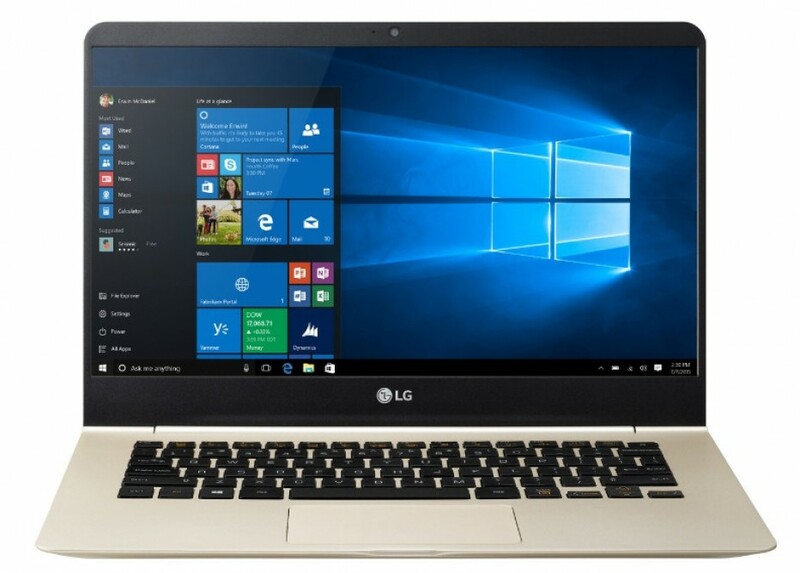 LG Electronics has launched an interesting new notebook line on the US market – the LG gram. The line consists of three super light notebooks that come with premium hardware inside. This is a first for both the Korean company and the US market since the gram notebooks have been on other markets for quite some time now. In case you wonder what the word gram does here’s the answer – gram simply denotes the very low weight of the devices. In fact the LG gram 14 is one of the lightest notebooks in the 14-inch range – the device weighs only 2.16 pounds (981 grams), which is less than even the MacBook Air. The low weight is due to the fact that the LG gram 14 comes with a chassis that is made of carbon-lithium and carbon-magnesium alloys – the same materials used in space ships and race cards. This makes the chassis of the entire gram line light and sturdy. The new LG gram line makes use of Wi-Fi and Bluetooth technologies and includes USB 3.0 ports as well as micro-USB and micro-SD slots. The notebooks also have built-in HDMI ports and Instant Boot, which makes the operating system start immediately when the user opens the display of the notebook no matter whether if it is turned off or in hibernation/sleep mode. The battery installed provides enough power for up to 7.5 hours of usage, allowing users to enjoy a full day’s use with a single charge. The displays used in the gram line feature Full HD resolution, a 16:9 aspect ratio and LG’s IPS technology for great viewing angles and improved color quality. In terms of tech specs the LG gram 13 offers an Intel Core i5 processor, 8 GB of RAM memory, a 13-inch display and 128 GB of SSD storage for USD 899. The LG gram 14 has a 14-inch display, a Core i5 processor, 8 GB of RAM memory and 128 GB of SSD space for USD 999. The fastest LG gram 15 has a 15-inch screen, an Intel Core i7 processor, 8 GB of RAM and 256 GB of SSD space for USD 1399. All notebooks in the line weigh 2.16 pounds (981 grams).